I don't know why you would want to switch off the archive but I already saw blogs that didn´t have one. I think an archive is quite important though because if you have interesting content there will be the day where a follower remembers an interesting post and wants to reread it. Another good thing to add to your blog would thus be a search widget. Another case when the archive can be important is when you get a new reader who really fell in love with your blog and wants to read as many old posts as possible or wants to see how it all started and it would be really sad if this person had to click "older blog posts" like a hundred times. It doesn't matter whether you're writing about fashion, beauty, cooking, lifestyle,..., people always want to know who's the person behind the blog. So if you don't mind putting a picture of yourself on the internet you should take a recent portrait and put it where everybody can see it: in your sidebar. This goes a bit together with what I said under point 9. Your personality is what makes your blog different from other blogs, it makes people come back for more and it is something they're interested in. This doesn't mean that we need to know everything about you or that you should publicly get emotional every day but it means that you should just be yourself and give your readers the possibility to get a clue of who that is. The sidebar of a blog is more important than you may think. If somebody likes your design and your content they will be really likely to take a closer look at your sidebar, too in order to get to know a bit more about you and your work or to follow your blog. Besides the already mentioned picture of yourself and the archive there should be some social media buttons to make sure everybody can immediately see how to follow your blog. While these are the 3 essentials a sidebar shouldn't be overcharged and it should have a clear design as well. Possibilities to make your sidebar look more clean would be to instal social media icons which are all the same size, use the same fonts as in the rest of your blog and only include pictures of the same size. Blogging is a lot about communication so a comment form is one of the most obvious essentials. If you don't want to get readers' comments for any reason that's totally okay but if you want to get them you should make sure that your readers can actually find the comment form (not so easy when you have the Dynamic View!) and that they don't get any difficulties when commenting (like captcha code, long loading times which may happen with the Disqus tool,...). Personally I don´t like comment forms opening in another window but that may just be me. Blogging in a first approach means writing. Meanwhile the pictures we put on our blogs play a huge role as well and for some blogging categories they may be even more important than for others but the people who come to visit your blogs are called readers and not speactators or anything else. Therefor you should also give them something to read because otherwise they may quickly be bored by your blog. Also how do you expect getting meaningful comments if your readers don't have anything to respond to? After all 100 comments just saying "nice outfit" won't get you any further while already a single comment answering the question you had about the way you combined your outfit can get you a step closer to a better style. The other way round the content of your texts can be really meaningful and interesting but if people have to really make an effort to read it they probably won't do it. Therefor make sure that your spelling is okay and that your fonts aren't too small or squiggly. After talking about the text let's get back to the images nevertheless. If I see a blog with small images I will leave it almost immediately because that just doesn't look any professional. Also a lot of people pay attention to details and seeing your lovely new ring in a full body picture that hasn't even the size of your hand is quite hard, don't you think so? Putting large images on your blog isn't even difficult because even the worst phone camera will take them in a size that´s totally okay so please guys, post your pics in large or even better in extra large! Guess what's the first thing you look at in a blog? Right! The header. So what's the point in having a lame one? It represents your blog and is the thing that people keep in mind. It's just like in real life: the first thing people will keep in mind is not your name, your intelligence or the colour of your nails but your face. Header = face of your blog! Now if your header is just the name of your blog written in an average font that's nothing people will keep in mind. Just think of Chiara Ferragni's header... If somebody says "The Blonde Salad" you will first of all have in mind this picture of her laying in a bath tub full of salad. And her header works because it's concise, fun and convenient. So try to tinker a header that has got to do with the theme of your blog and features your blog's name in a creative way (for example the sauce on Chiara's salad). Again this is something that has got to do with the points 9 and 8 but is even more important. People really want to know with whom they deal with and I have often been looking for an about section when I found a new blog I liked. But again just having this section isn't enough, it is about what you tell about yourself in there. Your name, your age, your job and the reason why you started to write your blog and what it will be about are a few musts. However it's up to you how personal you get and in which way you present youself (have you ever thought about making an introduction video?!). Phew, again that was a lot of writing but I hope that you liked my tips and that you will be able to implement some of them. What do you think a blog should absolutely have in order to be complete? 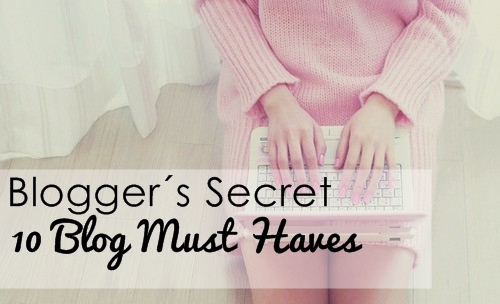 Is there anything you want me to write about in the next "Blogger's Secret" post? dear, great advices..! !i think is so true. Love this post so much! It´s so ture! really great and interesting points for be the perfect blogger.. I may not agree with everything but the majority of what you said is valuable advice! I agree that personality is very important! love this series! really helpful. I'm still working on putting my personality out there but I think that's easier on video. Have you made an intro video? da hast du wirklich einig der wichtigsten Sachen zusammen gefasst. 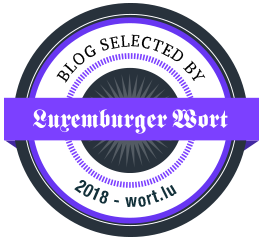 Gute Tipps, ein "About" hab ich auf meinem Blog noch nicht, aber ich habe auch schon mal drüber nachgedacht das mal nachzuholen! You are just brilliant Carmen!! I love this series of yours, you say what we are all thinking and I can't help but agree on every single point. Thanks for pointing the comment form issue out, Disqus and Google + never ever loads the first time on my laptop, I always have to refresh the page like three times before I can comment, maybe thats to blame on my bad internet service? I wonder If I am the only one. Excellent points! Wishing you a wonderful and relaxing weekend! Have a great weekend to you sweetie!